Frightened of starting a business? You’ve always wanted to run a coffee shop or a dog-grooming parlour. It’s the only dream you ever had. Many of us have a hobby or a skill that we think we should be able to use to earn a living. But always in the end, it seems, no matter how skilled you are, you have to be that businessman or woman. You have to have a head for figures and a grasp of the law. You have to do marketing and communications. But all you really want to do is choose the best blend of coffee beans or finely coif a poodle. There’s the trouble. You either are or you aren’t. And if you’re not one with a head for business and the drive to set up by yourself, you’ll just end up someone else’s wage slave. Sure, you manage your household budget don’t you? Balancing the books is straightforward enough for most people. The real problem is starting up. Getting that business off the ground. Doing the things that you don’t know how to, whilst all the time failing to make the living you know you will eventually. You’ll have to take another job to keep food on the table, exhaust yourself, and not give the best to your new business. It’s a vicious circle. The best way to get out of a vicious circle is on the tangent of initiative (as that annoying middle manager in your last place might say). Yes. Quite simply, go off on one. If you don’t feel you’re the sort of person to get a business off the ground, don’t be that person. If you don’t want to do the work yourself, let someone else do it for you. Buy a business that already exists. It comes with systems and people who know how to do the stuff you don’t. Oh and don’t forget the most important thing, ready made customers! There are plenty of self-starters out there, but when they get bored and move on there is a business waiting for someone else to prosper in? Could that be you? 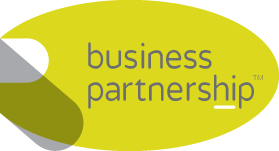 Find out more about buying your business through Business Partnership.